POLK COUNTY -- A St. Croix Falls man has been charged with 8th OWI following a traffic stop in Polk County and has been placed on $10,000 Cash Bond. On the evening of March 19, 2019, an Osceola Police Officer saw a vehicle traveling through Osceola at a high rate of speed; up to 50 miles per hour in a clearly marked speed zone of 25 miles per hour. As the Officer followed the vehicle, he saw it weaving within its traffic lane. After stopping the vehicle, the Officer identified the driver of the vehicle as Daniel Pfiffner, age 48, of St. Croix Falls, WI. According to the criminal complaint filed against Pfiffner, when the Officer told Pfiffner that his travel speed was the reason for the stop, Pfiffner responded that he always drives 50 miles per hour up the hill and sets his cruise at 50. The Officer noticed that Pfiffner’s speech was slurred and noticed an odor of intoxicants coming from Pfiffner’s breath and also saw that Pfiffner’s eyes were bloodshot. Pfiffner denied that he had been drinking and told the Officer that the reason his speed was slurred is because he had been “working all day”. The criminal complaint goes on to state that Pfiffner was unable to retrieve an ID from his wallet, first pulling out an Arizona state driver’s license and tossing it into the back seat of the vehicle after getting upset and then finally handing the wallet to the Officer who found Pfiffner’s ID inside without any trouble. When the Officer asked Pfiffner why he did not have a driver’s license, Pfiffner allegedly told the Officer it was for OWI reasons, and that he had not had a license in years. When the Officer asked Pfiffner to stay in his vehicle while the Officer checked Pfiffner’s information, he became upset; allegedly telling the Officer that he would be going back to prison. The Officer asked Pfiffner why, and he allegedly stated that because he was driving without a valid license, he assumed he’d be going to jail. After checking Pfiffner’s information, the Officer confirmed that Pfiffner was previously convicted seven times for Operating While Intoxicated and that he did not have an Ignition Interlock Device installed in his vehicle, although he was required to. The Officer also confirmed that Pfiffner’s license was currently revoked due to his prior convictions for OWI’s. At that time Pfiffner was placed under arrest. The Officer obtained a search warrant for a sample of Pfiffner’s blood for testing to determine his blood alcohol concentration, however the results of that testing were not included in the criminal complaint at the time of this post. 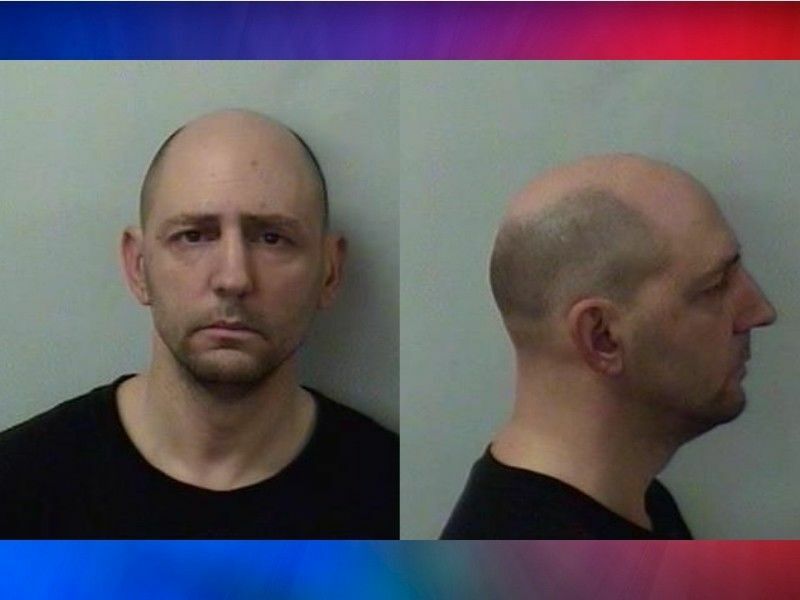 Online circuit court records show that at a hearing on March 20, 2019, Pfiffner was placed on a $10,000 cash bail bond. Pfiffner is charged with Class F Felony 8th Offense OWI, Misdemeanor Operate While Revoked, and Misdemeanor Failure to Install Ignition Interlock Device. If convicted as charged, Pfiffner faces a possible maximum penalty of 12 years and 6 months in prison for the 8th Offense OWI. Pfiffner is scheduled to appear again later this month for a preliminary examination hearing on his criminal charges.